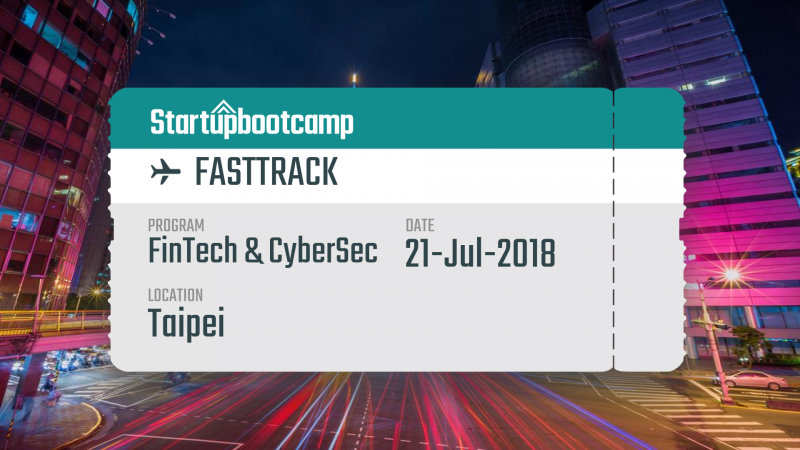 On the 21st of July, the Startupbootcamp FinTech & CyberSecurity program welcomes you in Taipei for its half-day FastTrack event as part of its international tour to find the best talents in the industries of FinTech, Insurtech, Pensiontech, Regtech, and CyberSecurity. We are also interested in enabling technologies such as Blockchain, Data & Behavioral Analytics, AI/ML, AR/VR, UX, Chatbots, and Biometrics. Please, choose which session you want to participate. You can only attend one session.